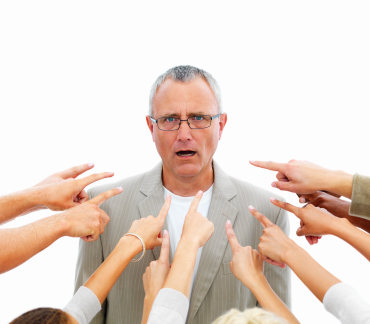 People who suffer from exaggerated guilt often erase decades of their life by feeling bad. They act as guilty as if they had murdered someone and belong in prison. They build a prison for themselves of twisted ideas. I’ve watched many lovely women from Pittsburgh, whose hearts are strong and true, who have invested years of caring for an elderly parent only to later decide that they didn’t do enough. It’s very hard for people to make any distinctions about their own guilt. Guilt is very complicated. It can be crucial to understand that a parent who manipulates will use their pain in a very selfish way. The facts may be that the physical therapyidea or rehabilitation facility was clear that the parent refuses their help because they want to be taken care of. This may not be reasonable based on the facts. There are several distinctions that need to be made. One is whether, what the parent wants is reasonable or unreasonable. Ask someone else who has a good overview of the situation for a reality check. If you suffer from exaggerated guilt you are unlikely to be able to make this distinction based on the facts alone. therapyidea is often a setting that can help you reflect on the totality of the situation and help you come to better decisions that factor in self-care. Another distinction to make, is whether someone is manipulating out of a selfish pain. “I’m not coming to your wedding because I don’t want my circumstances to change, I’m not living with him too” is an example of a selfish, manipulating pain. It may be hard to picture an aging parent as being selfishly manipulative but it happens every day. Separating someone’s legitimate pain from manipulating, selfish pain is a distinction guilt often refuses to recognize. Often, people with chronic pain or disabilities can be very self-absorbed and manipulative. They are exploding with their own exaggerated entitlement because living with pain is no picnic. It’s important to balance the picture by calling them on it instead of getting lost in a sea of guilt and simply acquiescing. Exaggerated guilt contaminates everything it touches and should be thought of as the oil on a seagull that keeps it from flying.